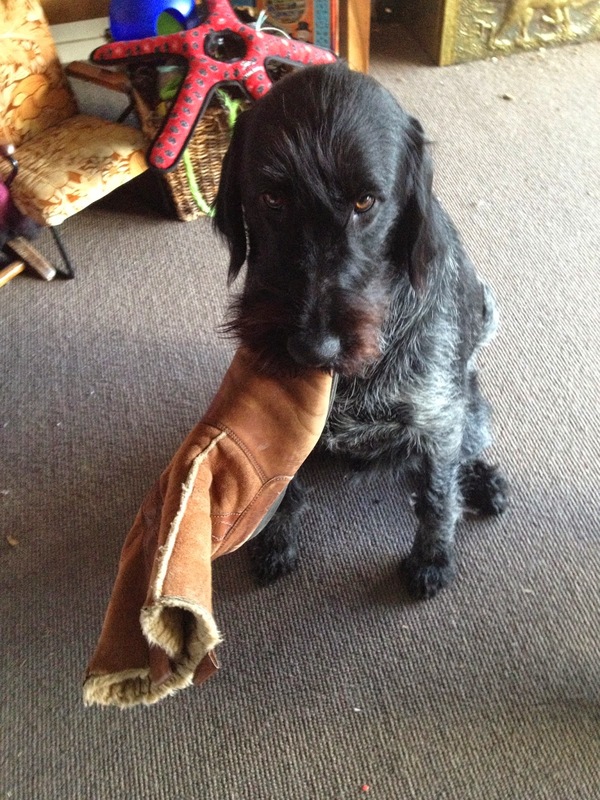 Duncan Campbell's Blogsite: Guilty Dog Again - "What! - Your not Cinderella - Really!!" Guilty Dog Again - "What! - Your not Cinderella - Really!!" Ha, he's up to NO good again, - I can't help laughing at his antics - but Mum - well what can I say she didn't appreciate the cinderella crack! The small things in life you have to enjoy when you are home. By the way he did get the most improved prize at Doggy training College! But I suppose that can be taken 2 ways! Ha. A+ he was bringing it back! I think!